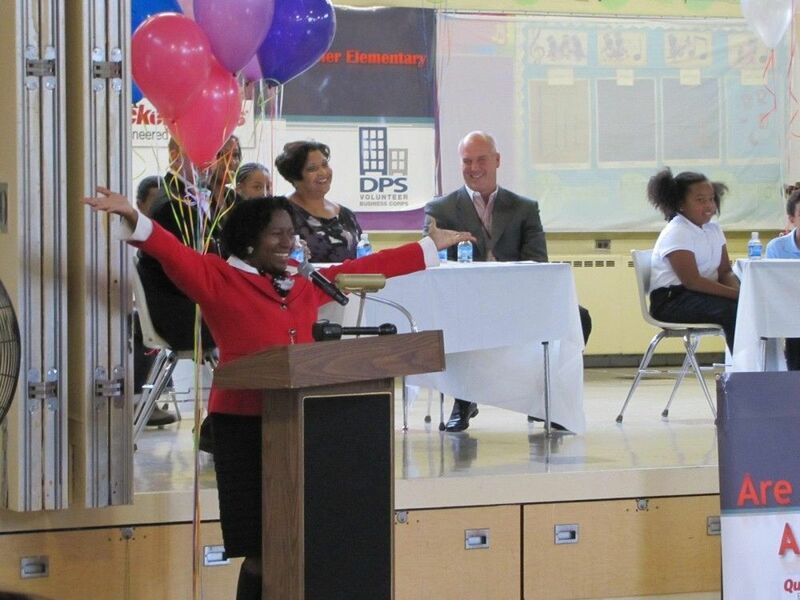 Detroit-based Quicken Loans has adopted Chrysler Elementary School as part of the Detroit Public Schools Volunteer Business Corps Program, which creates and supports robust partnerships between DPS schools and area businesses and community organizations to help students improve their academic performance. 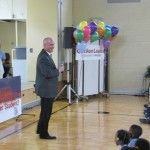 Beginning next month, some 300 Quicken Loans team members will visit the school twice a week for six months to mentor and tutor Chrysler’s 175 K-5 students. 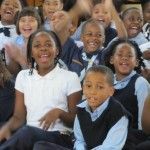 In addition to tutoring, the volunteers will help students publish stories they write in book format, and the company will donate surplus computers and other educational materials. 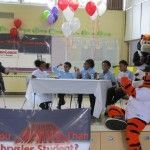 To add to the fun and festivities, Detroit mascots Hooper of the Detroit Pistons, and Paws of the Detroit Tigers, helped cheer them on. 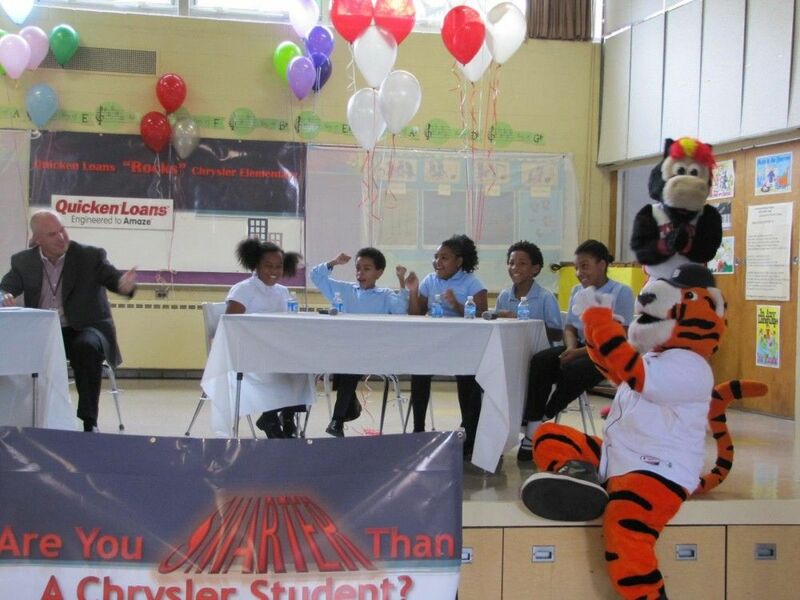 Quicken Loans CEO Bill Emerson, Brian Stevenson, Vice President for Public Relations at Fathead, Brooke Franklin, coordinator of the DPS Volunteer Business Corps and Fox 2 anchor Anqunette Jamison went played against a group of students in a game of “Are You Smarter than a Chrysler Student?” After several rounds, the students won the close match. 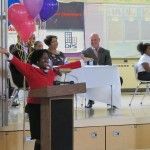 Last year, Quicken Loans donated more than $2 million to 300 non-profit and charitable organizations where a majority of its team members live, work and play across Detroit and Southeastern Michigan as well as in Arizona and Ohio. Quicken Loans Inc. is the nation’s largest online retail mortgage lender and among the five largest overall retail home lenders in the United States. 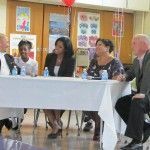 The company closed its 1 millionth loan and a record $29 billion in retail home loan volume across all 50 states in 2010. 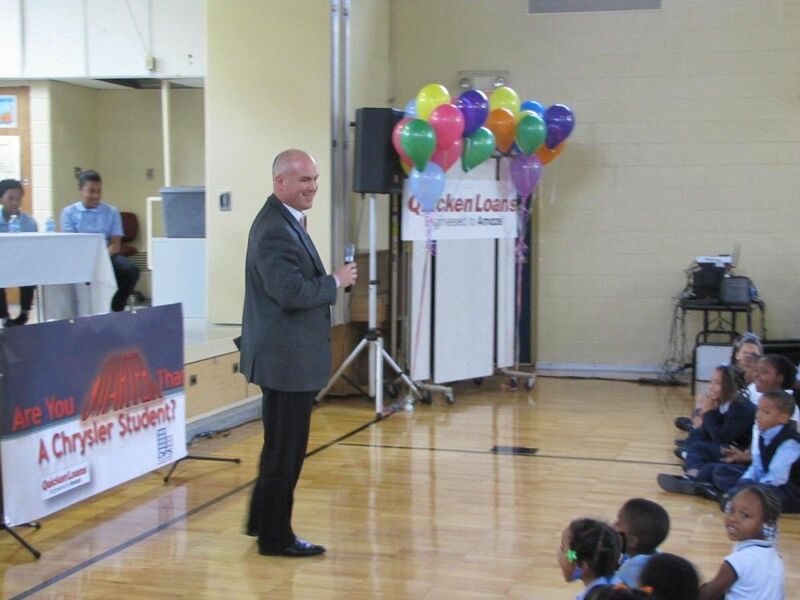 Quicken Loans generates loan production from five web centers located in Detroit, Ohio and Arizona. The company also operates a centralized loan processing facility in Detroit, as well as a San Diego-based One Reverse Mortgage unit. Quicken Loans ranked #1 in customer satisfaction among all home mortgage lenders in the United States by J.D. Power and Associates for 2010. “QuickenLoans.com” has been named “Best of the Web” by Forbes and Money magazines. The company also has been named to FORTUNE magazine’s list of the country’s “100 Best Companies To Work For” eight consecutive years, ranking as high as #2, and named in the Top-15 of Computerworld magazine’s “100 Best Places to Work In Technology” for seven years in a row. Quicken Loans ranked #1 in the Detroit Free Press’ ‘Top Workplaces of 2010’ List. The company moved its headquarters to downtown Detroit in 2010 and now has more than 3,000 of its nearly 4,500 team members in the city. For more information about Quicken Loans, visit www.quickenloans.com. 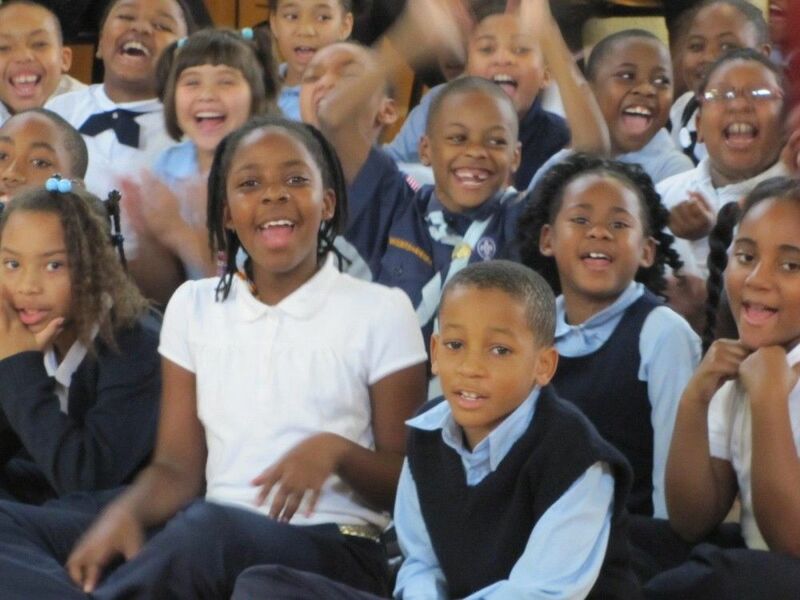 Detroit Public Schools is creating Centers of Excellence in every school in every neighborhood. 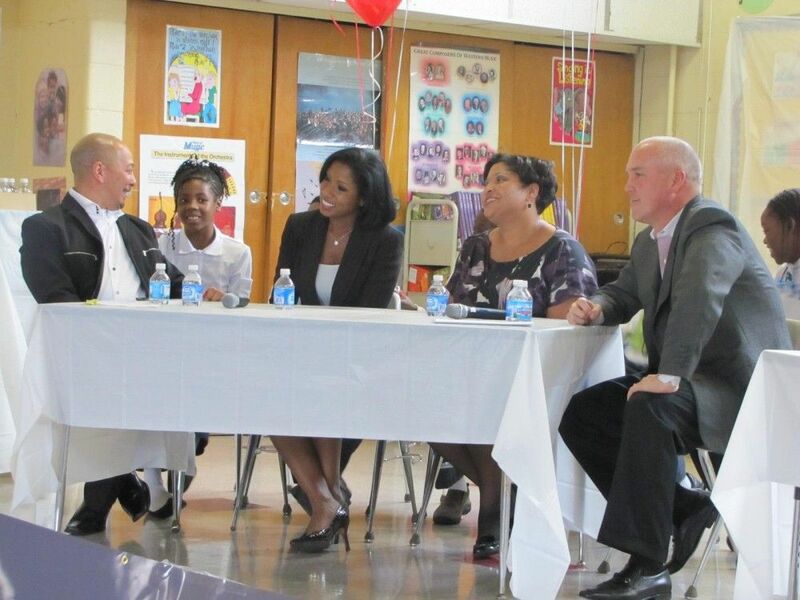 The district’s primary mission is educating students to perform at high academic levels. DPS offers educational advantages to students throughout the district’s 130 schools, including expanded time for reading and mathematics under a common core curriculum, pre-algebra for 7th graders, 9 different languages and robust ESL programs, Advanced Placement courses at every high school, Fine Arts programs with instrumental music, vocal music and dance, 10 new state-of-the-art school buildings or major renovations along with millions of dollars in school building improvements districtwide, extended day opportunities, business partners for every school to help raise student achievement and safety and security enhancements. This entry was posted in News and Press Releases and tagged 062.